Twenty-five year old Reginald Doucet Jr. was shot and killed in front of his home by the Los Angeles Police Department early Friday morning, after refusing to pay his cab fare. According to reports, residents of Playa Vista heard a man yelling and saw him running around outside completely naked. When police arrived, he was wearing only boxer shorts and arguing with the cab driver who had driven him from a bar in Hollywood. The driver said Doucet did not want to pay his fare, then took his clothes off and started jumping on parked cars. Police say they struggled with Doucet, and one of the officers drew his weapon and fired, killing him. The officers involved were reportedly taken to a local hospital with minor injuries, including a sore jaw. 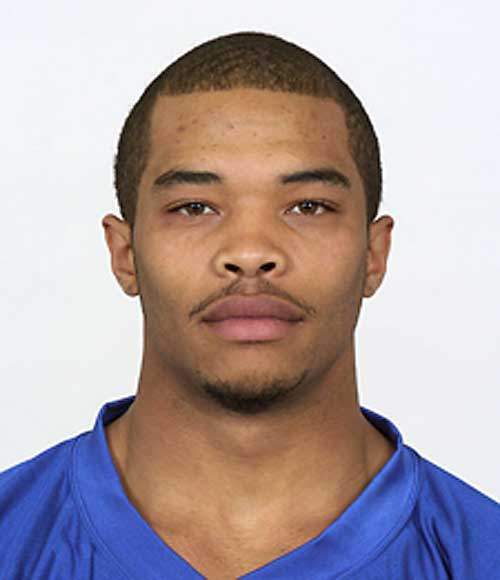 Doucet was a former quarterback at Middle Tennessee State University and a personal trainer. He had also done some modeling and was featured in Essence’s Eye Candy section. Who Looked More Bangin’ At The 2013 Billboard Music Awards? Grace Jones, Icon of Fashion & Music Turn 65!